Unfortunately, our planned talk on Recycling has had to be postponed from next Monday and will be rescheduled at a later date. 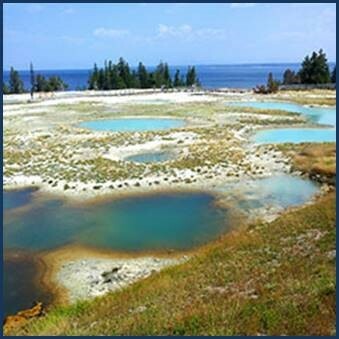 Come and see more eye catching images of America’s first and foremost National Park and hear about one of the most dramatic environments on Earth, from its canyons to its waterfalls and, of course, the geysers and the wildlife. All welcome at the Village Hall at 8pm, next Monday, 14th January. Most people will know that the Solihull News has ceased publication. Solihull News is now incorporated within an edition of the Birmingham Mail, called the Solihull Mail. Deliveries of the Solihull Observer have been in short supply lately. They are available at Clark’s Residential estate agents in Station Road as well as some other agencies. Whatever it brings, may you make the most of opportunities and conquer the difficulties. Please don’t just dump your used Christmas cards, Braggs Funeral Directors (1682 High St) are collecting them for recycling and will plant more trees, the more cards they get. Those who were due to have their brown bins collected this week, and haven’t, rest assured, they will be collected next week.